Learn how to build your own site, and access software updates and quick guides for development, rollout and security. - Wet signature in an Event Form can be included in a PDF. NOTE, a wet signature in a table row is not able to appear in the PDF as the signature, as more development is required still to enable this. 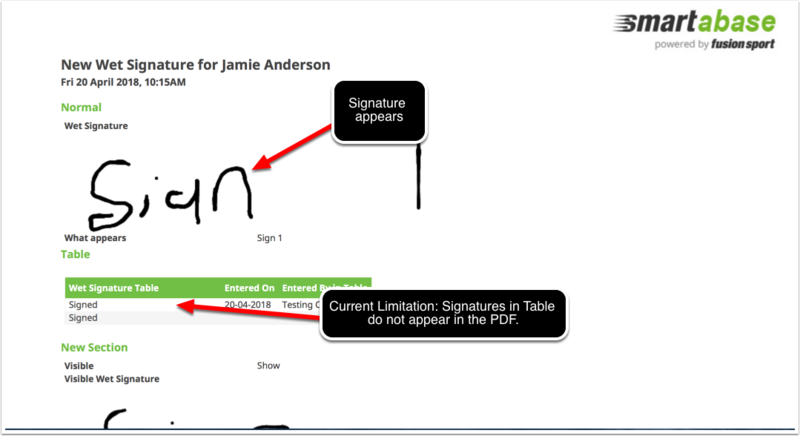 - Wet Signature in Locked Table Rows can be viewed on the mobile app (iOS, Android, m.html). Note, a wet signature in a locked table row (ether as a locked row, or in an Table in a locked Event Form) is not able to be viewed on the main app yet, it still appears as "Signed". More development is required still to enable this. - Wet signature in locked event forms appear as the signature (not as the text signed) on the main application and on mobile (e.g. a single field, but NOT in a table row). For more information see the steps below. The image here shows that a wet signature has been signed in a table row. To see the actual signature, click on the cell and it appears. This also works on mobile as well. 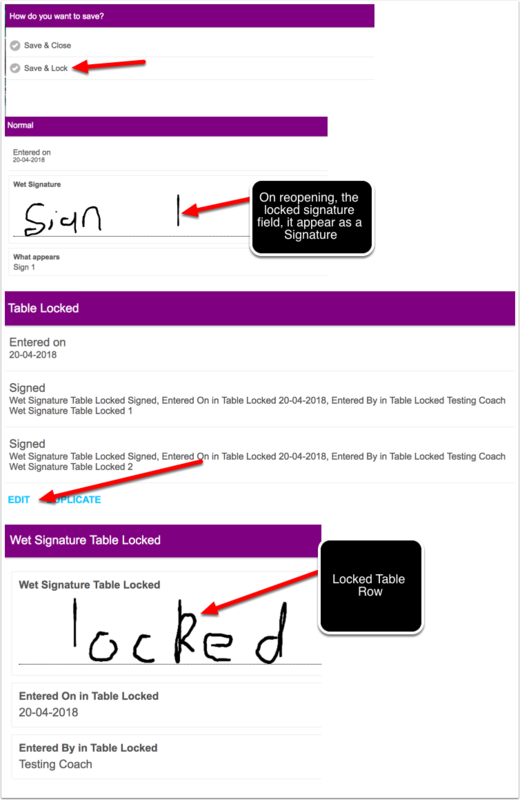 For Locked Table Rows or a Locked Record with a Table row, the wet signature field will display as the signature in locked records on Mobile. This is currently not supported on the main application. In the Mobile Apps a wet signature in a Locked Table Row can be viewed. Unfortunately, in the main Smartabase application, due to the way we store and display data in a table row, locked table rows CANNOT be expanded on the main Smartabase application. This needs additional development to alter the core behaviour to support the image to appear. 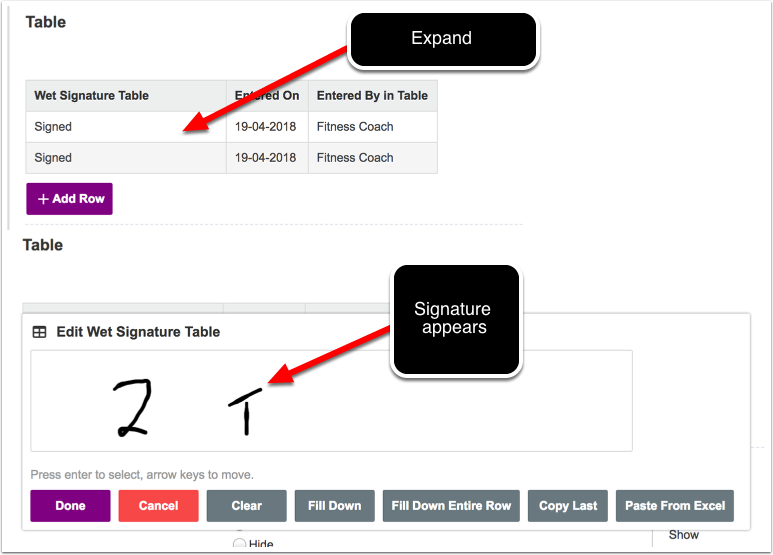 So, for the time being wet signature fields in the locked table rows cannot be expanded on the main app. Previously on the Mobile App, if the signature was made available using a visibility setting, it was inaccessible to enter (unless you set the visibility, went to the next section, and came back to the prior section). This is resolved and it can be signed when hidden/shown using visibility settings. 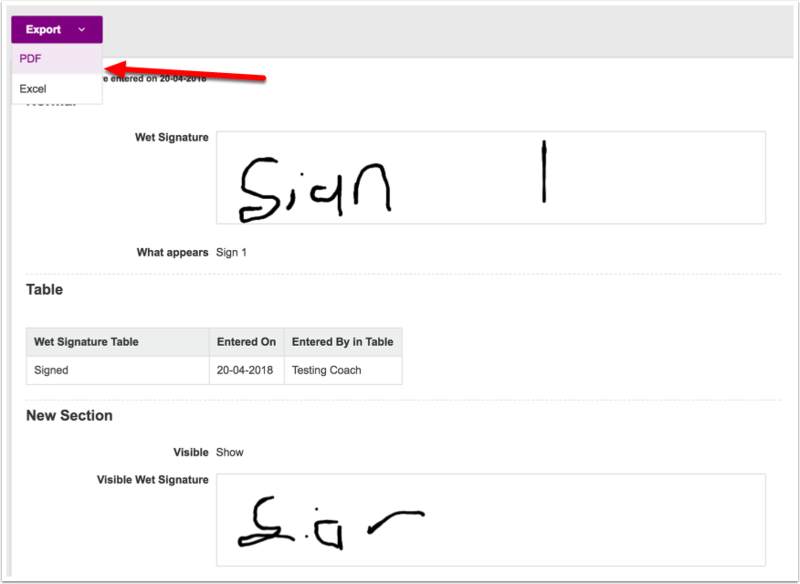 The wet signature can now be included in a PDF of the Form, but ONLY for fields NOT in the table. The example in the image above shows that the sign image is large by default. This image in the step here shows that it is smaller. This was set at 200 pixels as part of the PDF design. If you need alternations to the size of the signature image, talk to a Builder at Fusion. Smartsaves "Trigger at End of Day" is working as expected. WARNING: A issue has been uncovered with this change. Please revert ALL Smartsaves back to the original Smartsaves time of triggering on the same day. Please Untick "Trigger on following day"
Chart Styling Template- select the default colours for the charts. How to make D3 charts enabled so that they appear immediately on login on the home page. SMARTFLOW WARNING: Historical calculations will NOT run if a user does not have read access to the Target Form. Link an account image into an Event Form or Profile Form. Exporting and Importing in any of the OSICS or Body Diagram Fields. Limiting scrolling on the booking calendar for Schedule and Appointment forms to a specific day limit (e.g., 7 days). New Calendar Date Picker functionality on the My Schedule module on the mobile app. SMS Message Counts may be out at certain times during the current month. Historical Date Calculations have been added to the system. These can be used to pull out date to match a specific query such as the date a personal best was achieved. Linked Calculation Advanced Form Property: used to recalculate state on a specific date, and should ONLY be enabled on forms that link state and need to calculate it retrospectively, during an import, or resave. Search User enables you to see a complete history of data entered for a user, by a user, and roles and permissions. Table Rows can be set to be Printed (PDF), Duplicated, and newly entered Rows can be Deleted. Administration Site: Why do we need Categories (Folders) to be set up on the Administration Site? Administration Site: What happens when you delete a Category? 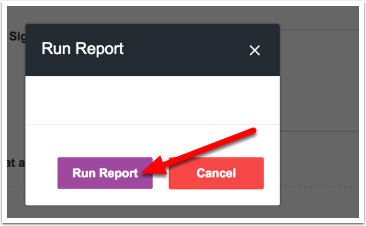 Hide Fields and In Form Report Fields during "Group Entry Mode"
Set Sections not to appear by default in Group Entry, and points to note about why some sections may not appear correctly. New Table Text Calculation to pull through data into a summary without a comma separating the data. When to use a Tick Box field in an Event Form? New capability to import in "Entered By"
Receive an e-mail to confirm that a resave or a migration has been completed. Using the ICD 10 Database. This is only for customers who have purchased it.